Exclusive! Don't lift that heavy mattress! 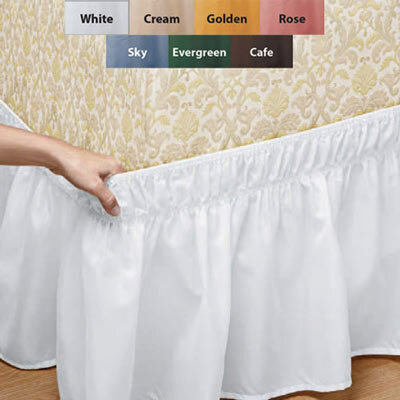 There's no need to risk hurting your back every time you need to clean your bedskirt. 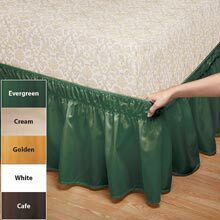 Our innovative Oh-So-Easy Stretch Bedskirt in easy-care polyester slips effortlessly around the mattress and box spring - no heavy lifting involved! Features a fully ruffled 15" drop for a luxuriant look and feel. Imported. Gentle wash. Hurry! Quantities are limited!